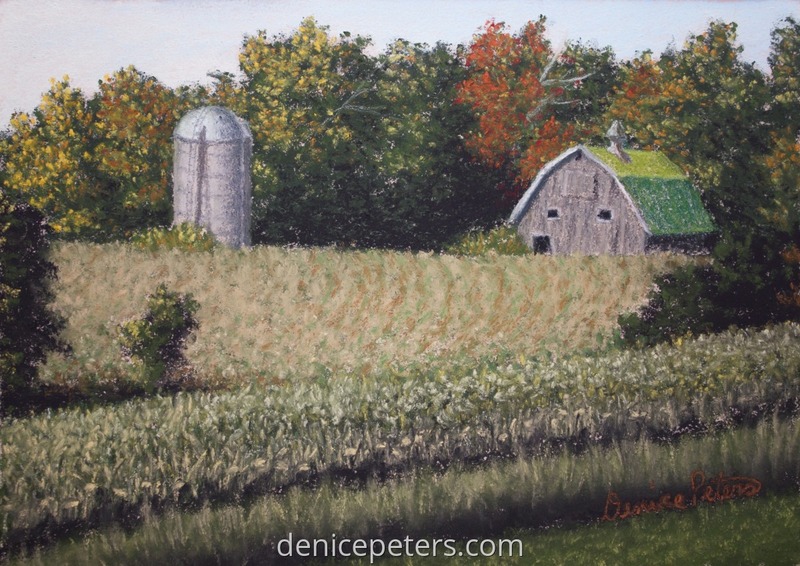 This is an old abandoned farm scene surrounded by corn fields. The corn wasn't quite ready for harvest so that is what I named it. It's done in pastels on UArt paper.